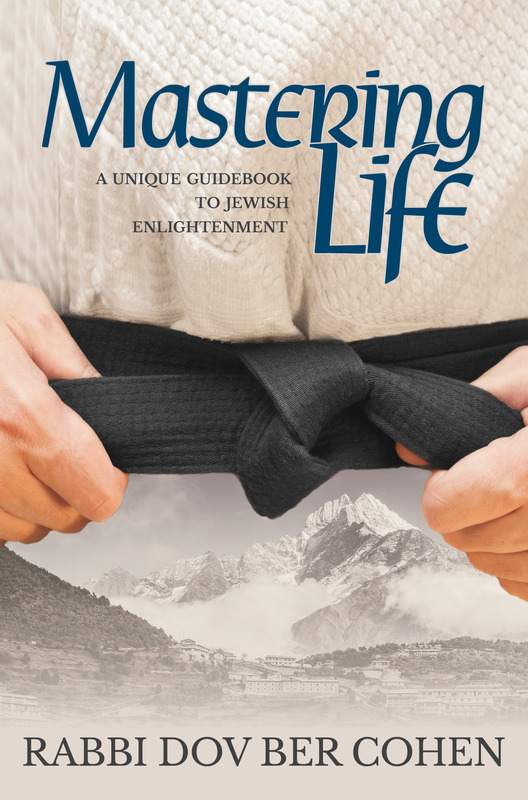 Many Jews are interested in personal growth and spiritual experiences, yet haven’t necessarily found that Judaism and the way of the Enlightened Jewish Masters gives them what they are looking for. Many look into Eastern paths, Yoga and Buddhism, or New Age mindfulness and personal empowerment classics rather than checking out our own tradition. 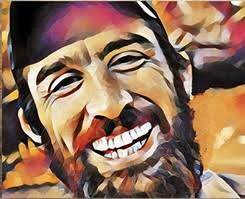 Then there are some who are following the guidelines of the Jewish sages yet have lost the spiritual consciousness and inspiration along the way; going through the motions but not necessarily feeling fully alive in their Judaism. Added to this, although everyone wants to be happy, it seems to me that not many know how to define happiness or how to achieve it. Mastering Life is a book written for Jews from all backgrounds to help us discover, or re-discover, the depth, wisdom and beauty of our own spiritual tradition. The point of this book is not to just be an interesting read; it is to share the lessons and tools I’ve learned so far on my journey through six years mind and body training in the mountains and temples of South East Asia, back to the cobbled streets of Jerusalem and Tsfat and my 40 day hike down the whole length of Israel. The aim is to stimulate a shift in consciousness, strengthen Jewish identity and to inspire lasting transformation. 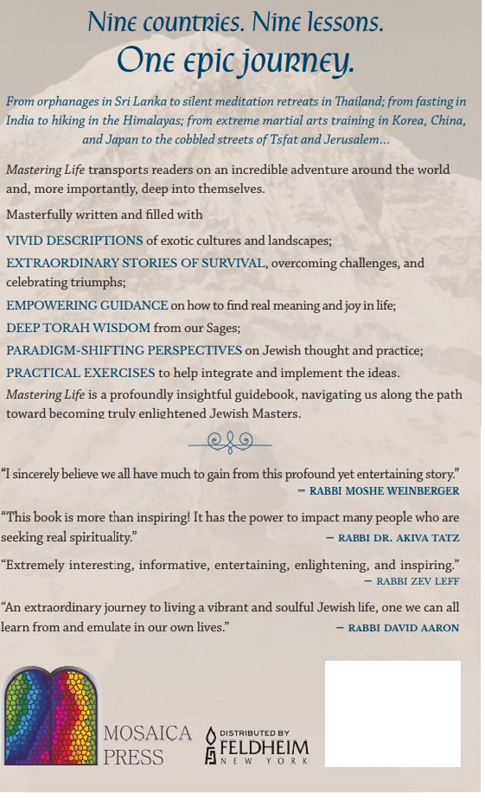 Brimming with vivid descriptions of countries and cultures, incredible stories of challenge and triumph, poignant insights on how to live a meaningful life, deep Torah wisdom and practical exercises, Mastering Life is a unique guide book for Jews of all ages and backgrounds, leading us towards becoming real Enlightened Jewish Masters. I’m looking for people to partner with me in this project by contributing towards covering the costs of editing, designing, printing, shipping and marketing 2000 hardback copies of the book (as well as sending copies to Jewish youth movements, high schools, campuses and educators across the US, UK and South Africa in order to empower our youth with Jewish pride and tools for life) – in order to get the word out to as many people as possible that we can all live truly great lives based on the teachings found in our own tradition. In memory of my friend Sacha Sorrell (David ben Aryeh HaCohen). Every man dies, not every man really lives! "let's bring it home baby"
"Best of luck and much success!" "WE ARE SO LOOKING FOREWARD TO READING YOUR BOOK COLIN & ROSALIND"
"Congrats Rabbi DB! Can’t wait to ready it!" "Dov Ber! Yes! Thank you for everything you have given to my life-- from our first encounter in the Aish lobby, to the villages (!!!) 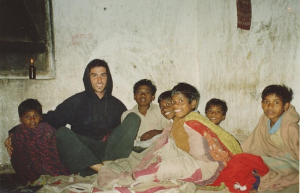 of India, to the street of Nachlaot, and til today. With this book may your teachings-springs spread even further! Lchaim,"
"In memory of my ancestors who carried the wisdom of the elders out of the darkness"
"looking forward to your book!" "Very much looking forward to reading the book!" "In memory of Akiva ben Yosef." "Can't wait to crack it open and soak up the knowledge! Thanks, Dov Ber!" "Much mazal and hatzlacha to you, your family and the ultimate publishing of the book!" "Love you DB. This book should merit Mashiach, bimheyra biyameinu"
"Wishing you all the best!" "In memory of Akiiva Ben Yosef, OBM, & healing of Shoshana bat Malka." "Keep up the great work in making this world a better place Rav Ber!!!" "Can't wait to read your book!!" "I am SO grateful to be able to contribute!! I am really looking forward to reading this book. Thank you Dov Ber!" 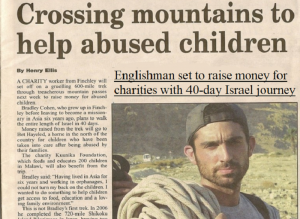 "Rabbi Dov Ber you are a true inspiration! Be Hatzlacha with your book." 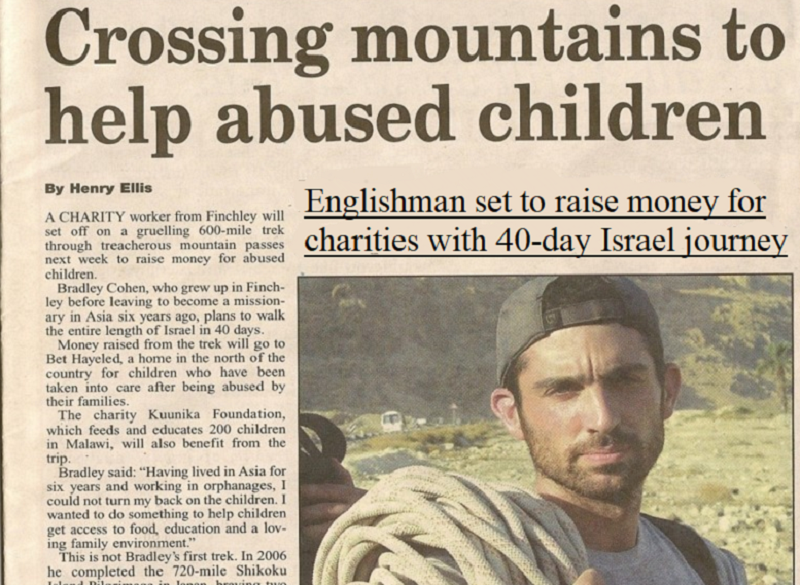 "Mazal Tov on this wonderful accomplishment. We are really looking forward to reading your work. Miss you!" "Very excited for the new book." "In memory of Rochel Bat Berel"
"Thank You for giving us the opportunity to be a part of this!" "For the refuah shlemah of ha'yeled Ben Oriana Devorah"
"In honor of Oriana and new baby boy!" "Best of luck with this very worthwhile project!!" "Wishing you a new year of maximum impact in all that you do for Klal Yisrae!" "Thank you R' Dov Ber for bringing light into the world, for connecting with neshamot and bringing us closer to Hashem! May you have the strength to continue doing this in the most genuine and humble way with lots of love!" "May you go higher and higher in your spiritual growth and outreach." "May this book elevate the neshama of David Ben Aryeh ha Cohen"
"Rabbi DovBer is mamish gevalt"
"From my few interactions with Dov Ber I can say with certainty that he is one of the most amazing people I've ever had the fortune to meet. His journey molded him into a great man and gave him incredible perspective, and I'm excited to learn a"
"We love you and wish you tremendous success!!!" "So proud of you Dov Ber for sharing your long, deep and beautiful journey with others and for dedicating you life’s work to lifting others along with you." "Mazeltov Dov-Ber. May your words ignite and inspire many as you change the world. May it also provide an aliyah for David Ben Aryeh haCohen’s neshama." "This is going to be fabulous - thanks for spreading the light!" "Thrilled to support this masterpiece!" "Looking forward to reading the book! Will help many I'm sure." "Mamash Changes my life also"
"For the l'ilui nishmas of Tziporah Bas Yosef and the complete refuah shlema of Chaya bas Tziporah"
"We're so privileged and honored to support this project!" "In honor of Rabbi Dov Ber Cohen"
"Hatzlacha, Rabbi! Can't wait to read this!" "Proud of you Uncle Brad. X"
"Love you Rabbi and I wish you all the best doing all that it is that you do over there in Eretz Yisrael awakening Jewish neshamos all over the world, connecting them back to our relationship with Hashem, and hastening the coming of Moshiach. Just finished"
"Baruch Hashem, it's finally here. Enlightenment, here I come!!!" "Thanks for all you do DB!" "Rabbi Dov Ber Cohen works harder for the Jewish people than almost anyone I have ever met. His wisdom and leadership has helped me and thousands and now he is trying to bring it into a book to help millions. This book must be published and we have"
"Thank you R' Dov Ber for this opportunity and all the Chizuk you have given us"
"Mazel tov on the new book, Dov Ber!" "Can't wait for this release! Thank you for inspiring us!" "For the success of Yarden Barukh ben Hannah amongst all of Kelal Yisra'el"
"Good luck! Can't wait to read it!" "The world needs this transformational wisdom! Go, DB, go!" "Dov Ber is legit an inspiration to all -- I'm so happy I can be a part of this exciting new endeavor! Keep on keeping on!" "Congrats Rabbi Dov Ber Cohen for writing this book. I have learned a great deal from you and I look forward to reading this new book!" New recruit to the dojo. Thanks for being part of the team. You are helping to spread the message that we can all live great lives! 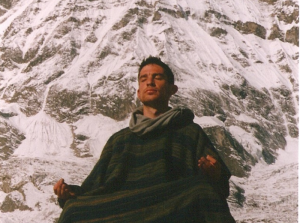 On the path to personal mastery. Thank you for helping publicize practical tools for living a meaningful life. 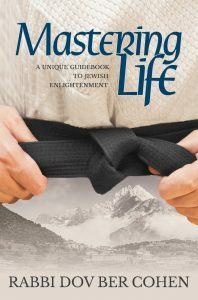 Receive a free Mastering Life book. Taking it to the next level. Committed to real growth and contribution. With your help we'll all be living on a higher level of consciousness. Receive a free book and $20 off a Ruach Chayim Meditation Retreat (in Israel). Next level of physical and spiritual mastery. Ready to teach others. Thanks for helping connect people to the power of our spiritual tradition. Receive a free book and $35 off a Ruach Chayim Meditation Retreat. Jewdi Master. 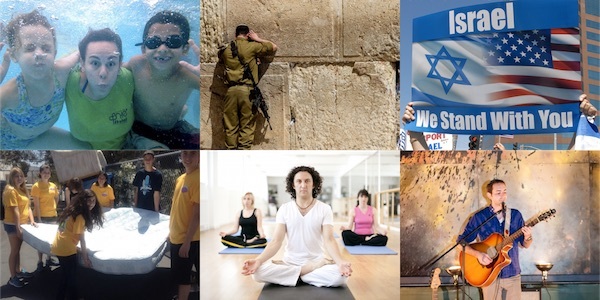 Your dedication to the Jewish people and our physical, mental and spiritual welfare is greatly appreciated by all. Five free books, three hours personal coaching, free Ruach Chayim Meditation Retreat, full page dedication in the book.